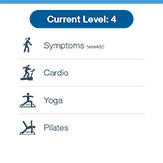 Our Back & Neck Self-Care Planner allows patients experiencing spine pain to participate in a personalized, interactive plan to reduce spine pain through stability, positioning, and mobility exercises, as well as cardio, stretching, yoga, and pilates. 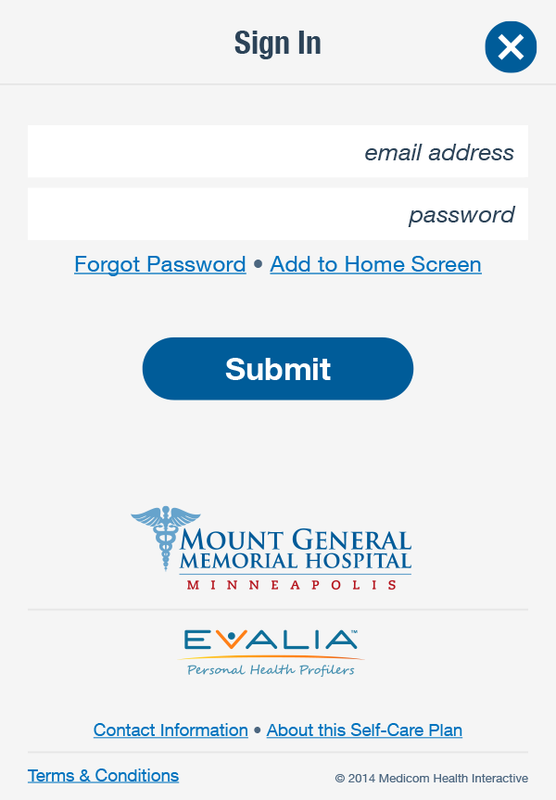 ​This web-based app allows users to track symptoms and activities on their mobile devices, tablets, and computers. 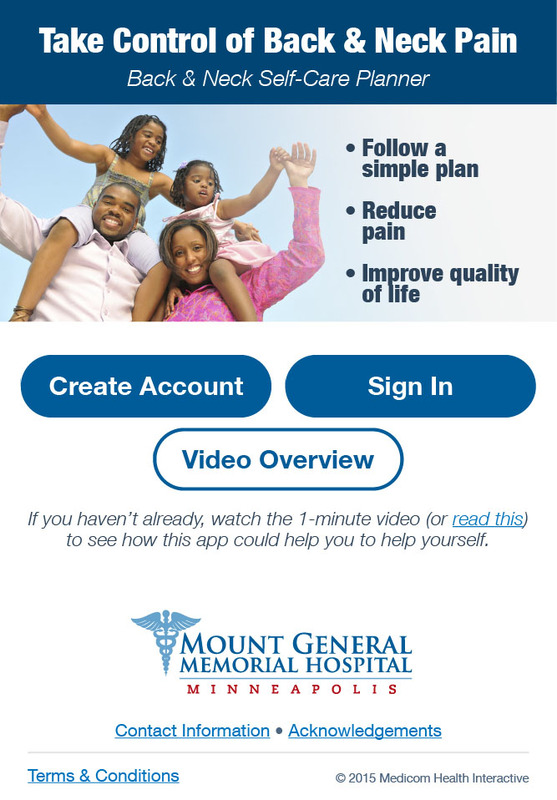 The 6-week plan includes a spine pain assessment, videos and instructions, performance feedback, and a summary report to be shared with a healthcare provider. Providing the right tools to guide consumers who can benefit from self-care is key to increasing efficiencies. 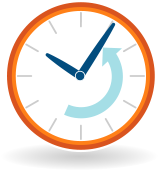 Our platform will help patient’s manage their care and reduce office time for simple care, resulting in cost and time savings. Patients using the self-care plan may improve symptoms before scheduling appointments with specialists, may prevent the development of more serious conditions, and may improve overall outcomes. Providing patients with back and neck pain the option to try a self-care plan allows orthopedic specialists to schedule patients most in need of their services and who may be more likely to need higher value surgical procedures. 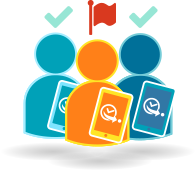 Long-term patient/healthcare provider relationships develop through engagement. 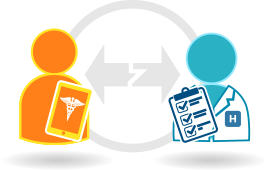 By providing ongoing performance feedback through detailed reports and targeted messaging, our online platform motivates patients to improve their quality of life, resulting in better relationships between patient and provider. 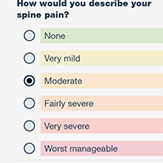 Users can track spine pain and exercises online with their phone, tablet, or computer. 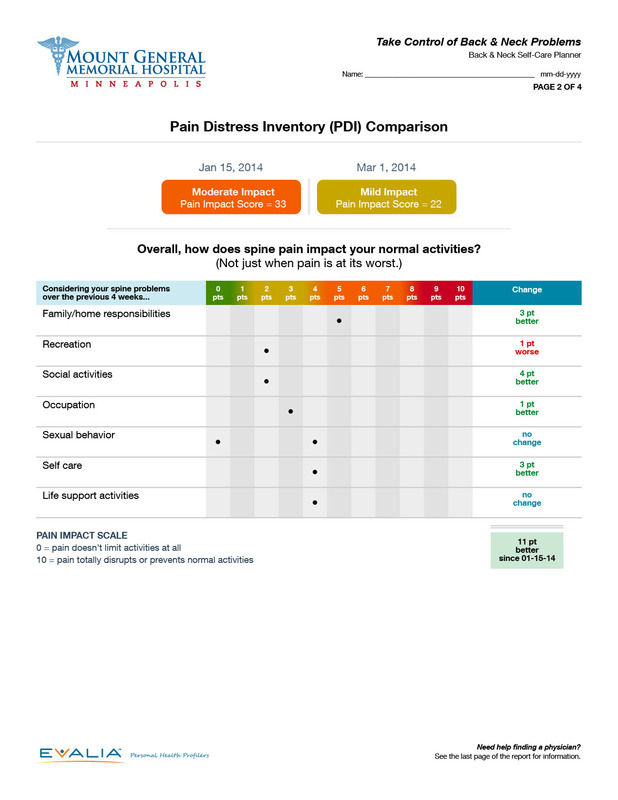 Users have 24/7 access to reports summarizing their symptoms and progress towards goal. 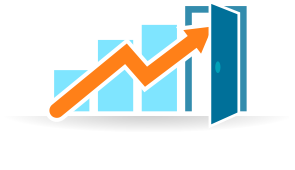 The reports, including trend information, can also be shared with practitioners via email or paper copy. 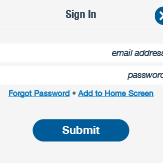 The platform is password protected, providing private and secure tracking of progress. 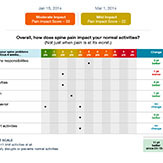 Each user’s 6-week care plan is customized on severity of spine pain. 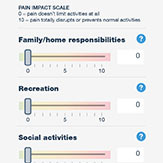 The user has the option to change the excercise plan difficulty over the course of the 6 weeks based on pain severity and mobility. Exercise programs are based on area of joint pain and the degree of spine pain. 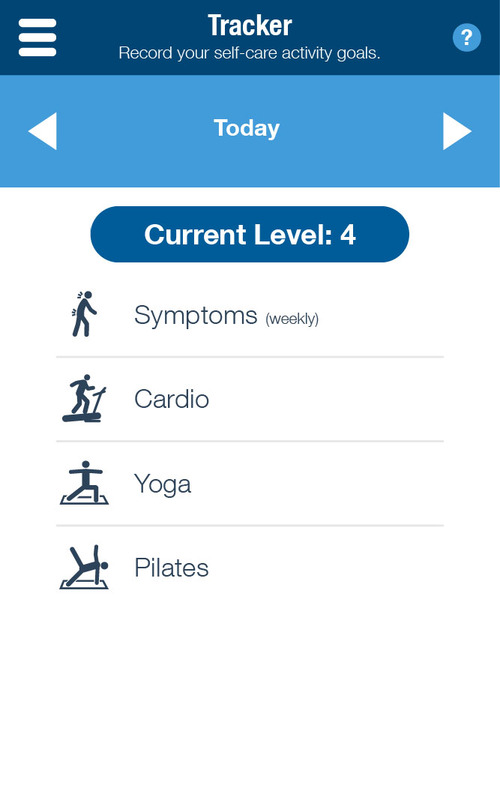 Exercises are tracked within the plan and may include cardio, mobility, flexibility, and strengthening exercises. 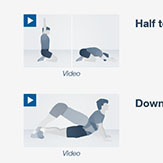 Users can access the excercise instructions in either a video or text format. Instructional videos carefully demonstrate and explain how to properly perform the recommended exercises, which are designed to increase mobility, reduce pain, and improve quality of life. For more information click here to view/download a PDF. Whether you're a big, medium, or small healthcare organization, this is something that everyone needs to integrate into their marketing strategy.